A mysterious light falls from the Heavens. It's the Pearl Jade. It can grant any wish. Dr. Ni tells Gyokumen Koushu about it. Lirin overhears and tells Kougaiji. 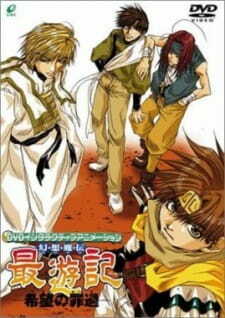 Then Kanzeon Bosatsu (The Merciful Goddess) requests "orders" Sanzo and company to go and find and seal it before it falls into the wrong hands.